FortKnoxster – Scam or Legit? My Honest Review Takes a Closer Look Into It! Online privacy is one of the major concerns these days and more and more people are in favour of encrypted programs. FortKnoxster is a relatively unique program which offers protected mode of communication and data transfer. Nobody on earth likes using apps that can’t ensure their privacy. In this FortKnoxster review, I’ll be explaining how this program works, what features it offers and whether or not it really works as the website claims. Before downloading an app on your mobile or PC, we often have a look at its star ratings. The first priority is to stay away from malicious programs. “Is FortKnoxster a scam?” This is a tricky question and we’ll know the reality after going through various aspects of this seemingly promising platform. FortKnoxster is a professional looking website featuring a short introductory video. The video claims that this program is integrated with the blockchain technology and all the information and data is distributed to the decentralized system and is well protected by the encryption algorithms. If this is true, it could be the beginning of a new era introducing blockchain to the messaging and commination apps. The application offers messaging, audio calls, video calls, conferencing and file sharing etc. and all of this is protected by a complex mechanism which keeps the users far from the cyber threats. The tag line is highly impressive too, which reads: “What happens in FortKnoxster stays in FortKnoxster”. FortKnoxster is based on the latest data protection technologies which include the decentralized blockchain and end-to-end encryption. The application is available for iOS, Android, and Web. If you’re interested in cryptocurrencies then you may well have an idea about the blockchain technology. For those who still are not aware of the technology, blockchain is actually the mechanism which stores data in bits/chunks. It means that information is broken into smaller pieces and these pieces (blocks) reach different destinations because blockchain consists of thousands of computers spread across the globe. Suppose a thief wants to steal a confidential file, he’ll figure out where the file is kept and then make the plan to break in. But if the officials anticipate the threat and separate the pages of the file, then cut the page in smaller pieces containing just one word per piece, and store each piece at a distant secret place, what will the thief do? It’ll become virtually impossible to access each piece of the paper, arrange the words, and then duplicate the whole file. Same idea works in the case of blockchain. FortKnoxster promotes its ability to keep our privacy and protect the information from the potential cyber-attacks. This application may turn out to be the top choice for the banks and other institutions which are always looking out for ways to increase protection and secrecy. This means that a message or piece of information is divided into chunks and coated by a complex algorithm so nothing in the way could have a chance to read the information. When it reaches the destination device, the information/message is translated back into the original form so that the participants can get the original message. In other words, apart from the sender and the receiver, nobody else has a chance to access the real message. You might have seen this feature recently introduced by WhatsApp. The purpose is same and this technology has generated satisfactory results. 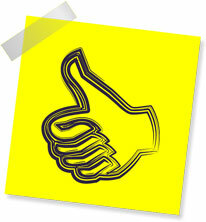 Overall, the claims are good and the technologies are also reliable. The one thing which grabbed my attention most is that the introductory video claims that FortKnoxster is capable of protecting the app from device surveillance programs. Device surveillance or spying programs are becoming increasingly threatening these days. There are various device monitoring programs which feature stealth installation which means that the program – after installation – monitors the device in hidden mode and shares all the information online with the hacker’s device. Different companies prefer to use monitoring software to keep a check on their employees so they provide them with the devices and the employees are not allowed to use personal devices. But people have started to use this facility to facilitate malicious objectives. I’d love to use FortKnoxster if it really manages to protect the application from the surveillance programs. After concentrating on the ins and outs, I’ll say that this program is going to rule in the coming years. It may not attract millions of individual users but it is definitely a great platform for the institutions, businesses, and banks etc. Large companies are always in search of something reliable when it comes to the protection of identities and information. My Verdict – Is FortKnoxster a Scam? FortKnoxster is NOT a scam – the website is upfront, honest & the whole concept looks very promising. I’m really confident that FortKnoxster could take off & scale to become a very prominent company. 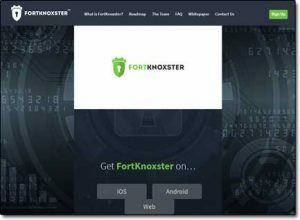 Like I mentioned earlier in this review the banks & institutions alike are always looking for ways to heighten security & it’s possible that they may consider FortKnoxster as their app of choice to do just that. If they do, then the FortKnoxster currency itself could potentially become very valuable so I’m certain that it will be getting a lot of interest from investors – especially those interested in crypto investments. So overall FortKnoxster will be getting a thumbs up from me because as I say it all looks extremely promising, as both a security platform & also as an investment. What Is The You Should Be Here Sign All About? Travel Scam?